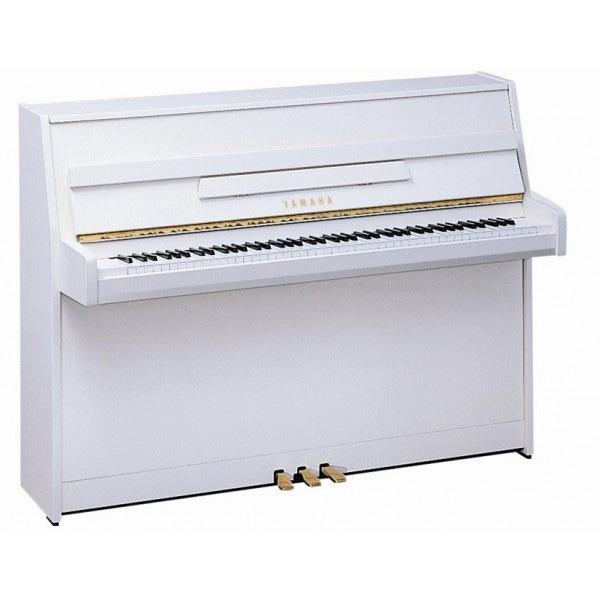 View basket “Yamaha B1 Upright Piano Simulated Polished Mahogany” has been added to your basket. Thanks to its impressive presence and sturdy construction, the new 113cm K113 delivers a rich, expansive sound with great depth and volume. Front and rear castors enhance movability and the beautiful, traditional cabinetry ensures that the Kemble K113 elegantly complements your living space. For serious performance at a modest cost, it’s a perfect choice. The superior ‘crown’ soundboard design ensures maximum resonance, and the specially selected ribs, matched to the characteristics of the soundboard, further enhance sound performance. The 3-ply solid maple bridge guarantees optimum tuning stability and makes a significant contribution to the Kemble K113’s tonal personality. 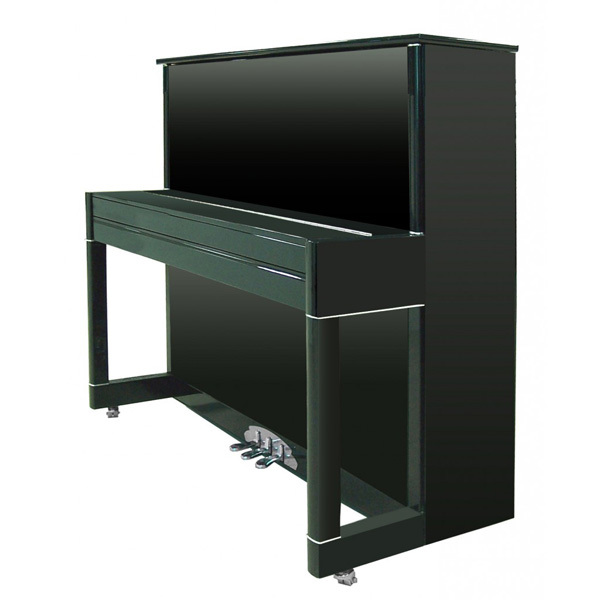 Traditional cabinet in Black polish with Chrome fittings. We are justly famous for our rich and distinctive ‘European’ sound – a characteristic largely attributable to the quality of the wood used in our soundboards. We use ‘Strunz’ Bavarian Spruce soundboards which comes from sustainable managed forests and is widely regarded as the best tone wood available. The stability of the crown (curvature) of the soundboard is also important – to maintain this we use individually shaped spruce ribs. Our skilled technicians carefully ‘tone’ each of the premium felt hammer heads as part of the final preparation process. Kemble touch is superbly responsive, being both smooth and even – the result of using our precision engineered action and its fine adjustment by our craftsmen. In addition, whereas some manufacturers compromise on their key material, our keys are made from spruce, a wood renowned for its stability in different climatic conditions. Our own designers have been schooled in the long and rich tradition of British furniture design, and have created a rather special range of elegant designs. In addition, we have commissioned Conran and Partners, a premier British design firm, to create exciting new styles for us. 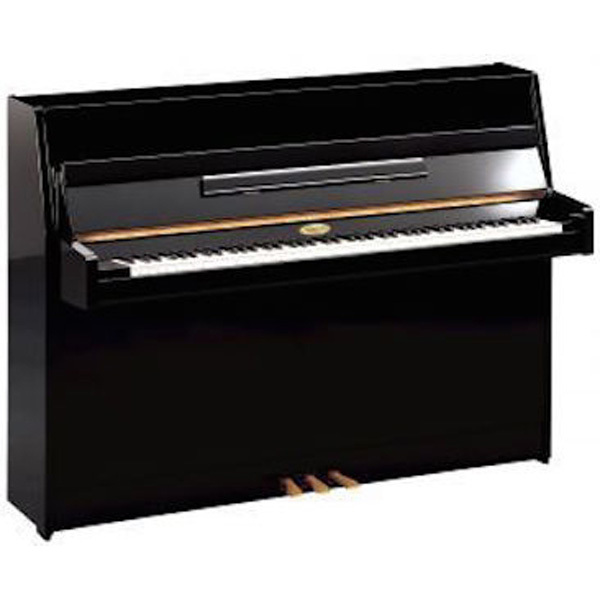 Kemble pianos are meticulously finished in satin or high gloss polyester. We are also famous for the quality of our hand selected wood veneers. The beauty of our cabinets speaks for itself. The use of substantial spruce back grids throughout the range, combined with our vacuum process cast iron frame and Delignit tuning plank ensures that Kemble backs comfortably support over 20 tons of tension and provide excellent tuning stability.